Nowhere is the saying “the enemy of my enemy is my friend” more true than in the Israeli political scene. The upcoming elections are perhaps the country’s most competitive since the 2009 elections. Then, Mr. Netanyahu’s rise to power was fuelled by the failure of his adversary, Tzipi Livni, to form a coalition, despite heading the largest party in the Knesset. Now it appears the Prime Minister is gearing for a similar fight, and ideological barriers, once considered insurmountable, have given way to unions of interest. Such is the case with Israel’s newest political alliance between the right-wing HaBayit HaYehudi party and the ultra right-wing Otzma Yehudit (“Jewish Power”) party. The union between the two, rebranded as the “Union of Right-Wing Parties”, could not have made possible without the blessing, and on most accounts, the guiding hand, of the Prime Minister. Otzma Yehudit is not a household name in Israeli politics. The party was formed in 2004 (under the name Otzma LeIsrael) by Michael Ben-Ari, a former disciple of the controversial Rabbi Meir Kahane. Born in the United States, Mr. Kahane immigrated to Israel in the early 1970s in order to realize his political ambitions. In 1984 he was elected to the Knesset for the first time, running on a platform advocating for an ethnically pure Jewish state and the “transfer” of Palestinians to neighbouring countries in exchange for financial compensation. Mr. Kahane’s views elicited such strong condemnation across the board, that in 1985 Knesset members legislated a basic law (equivalent to a constitutional amendment) barring candidates who “incite to racial hatred” from running in national elections. Using the same basic law, the central election committee later barred Mr. Kahane from running in the following elections held in 1988. Fortunately for Otzma Yehudit, its members have learned to go about their political ambitions more quietly. The party’s platform makes no mention of ethnic purity or the transfer of Palestinians, but only to the settlement of the entirety of the Land of Israel. Nevertheless, many of the party’s most prominent members have racked up an impressive rap sheet over the years. The party’s second-in-command, Itamar Ben-Gvir, has had 52 lawsuits filed against him, most of which revolve around charges of incitement and hate speech. Additionally, when asked why a picture of Baruch Goldstein, a settler who murdered 29 Palestinians, was hung in his living room, Mr. Ben-Gvir simply responded that Goldstein was “a doctor who saved many Jewish lives”. The Union between Otzma Yehudit and HaBayit HaYehudi could not have been made possible without a number of key developments. 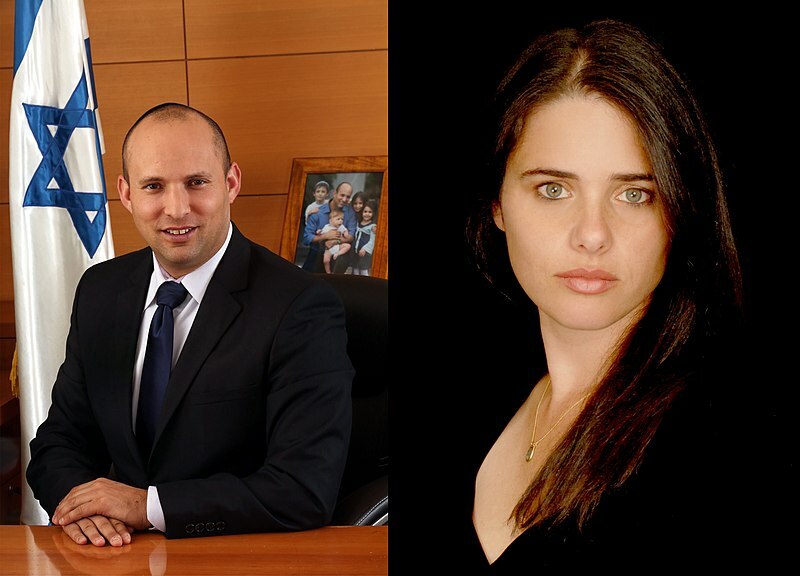 Primarily, in late December 2018, two of Habayit HaYehudi’s most recognizable faces, MK Naftali Bennett and MK Ayelet Shaked, announced that they intended to go their own way and form a new party, the New Right. The move was initially hailed as a positive development for Mr. Ganz and the left-of-centre parties in the Knesset. Polling indicated that both parties were hovering somewhere around the threshold required to enter parliament, indicating that a real possibility existed for Mr. Netanyahu to lose one of his “natural coalition partners”. However, it was soon discovered that a close confidant of Mr. Bennett had purchased the party back in August of the same year, a development which hinted at the fact that the split may not have been as capricious as may have appeared, but perhaps part of a more thought-out strategy. This strategy began to reveal itself mere days after the split had taken place. Seemingly responding to the threat of HaBayit HaYehudi not passing the threshold required to enter the Knesset, Mr. Netanyahu began petitioning the new leader of Habayit HaYehudi, Rafi Peretz, to unite with Otzma Yehudit. “If you don’t unite,” the Prime Minister tweeted on February 28th, “the right will lose and Ganz will form a government supported by the Arab parties… don’t endanger the land of Israel”. Polling indicated Otzma Yehudit was well below the minimum threshold required to enter parliament, however was still projected to garner between 1.5% – 2.5% of the voter share. Capitalizing on these lost right-wing votes thus seemed imperative for HaBayit HaYehudi, itself in danger of disappearing underneath this threshold. Yet, Otzma Yehudit is no ordinary right-wing party. On a regular day, such a move by the Prime Minister may have proved too much for ordinary right-wing voters to stomach. In fact, just days after the union had been announced, a group of protestors who referred to themselves as members of the religious nationalist camp protested against the move in front of Netanyahu’s residence. However it appears that support for the Prime Minister had not been significantly altered by the move. Mr. Netanyahu had been very successfully in framing the move not only as a natural one, but as a matter of the Right’s political survival given the threat posed by losing HaBayit HaYehudi. Far from a last ditch effort to save his government, a move dictated purely by mathematical exigences, the union may have been planned well in advance as a move which would allow Mr. Netanyahu to bring more right-wing parties into the Knesset. 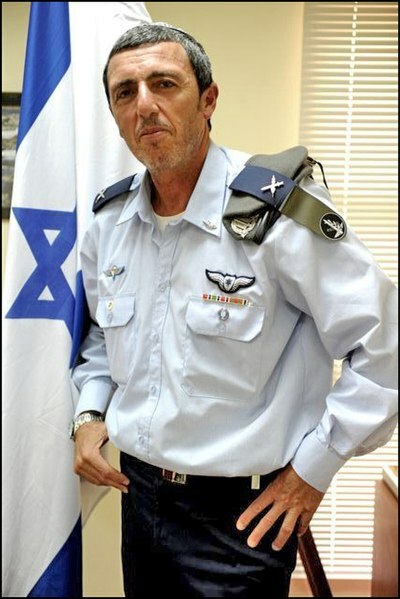 In light of the upcoming electoral battle between Mr. Netanyahu and former IDF chief-of-staff Benny Ganz, it is clear that the Prime Minister is looking for new supporters wherever he can find them. Moreover, in such a competitive multi-party election, the ultimate winner will not be determined by the head of the largest party in the Knesset, but rather by the head of the largest political “bloc”. Mr. Netanyahu, knowing he is unlikely to head the largest party, therefore sees the key to his political survival in the strength of the Right as a whole. As such, the far-right HaBayit HaYehudi and Otzma Yehudit, who are unlikely to form a coalition with anyone but Mr. Netanyahu, are important political assets. Mr. Netanyahu may also be interested in a strong coalition in order to pass through the Knesset legislation aimed at granting the Prime Minister immunity from criminal prosecution. The so-called “French bill”, had been previously discussed by members of Mr. Netanyahu’s party, the Likud, but encountered opposition from various members within Mr. Netanyahu’s coalition. Nevertheless many leading figures on the Right, such Betzalel Smotrich from HaBayit HaYeudi have expressed support for the bill, saying that prosecuting a Prime Minister goes against “democracy and the will of the people”. These figures would no doubt be important allies to the Prime Minster, who is facing indictment in three corruption cases. The initial (public) reaction of HaBayit HaYehudi to the Prime Minister’s lobbying was tepid. The party’s second-in-command, Betzalel Smotrich tweeted that he agreed with the Prime Minister, and therefore urged the Likud to unite with Otzma Yehudit. Yet within two weeks the mood within HaBayit HaYehudi had shifted markedly. Two weeks later, the party’s leader, Rafi Peretz announced the parties would form a “technical bloc”, further adding that “when the house is in danger, we will always keep the door open”. As part of the agreement, HaBayit HaYehudi conceded two spots among the opening ten MKs on its party list to Otzma Yehudit. In exchange, the Likud had offered the party two ministerial portfolios if Mr. Netanyahu formed the following coalition. Additionally, in an unprecedented move in Israeli politics, Mr. Netanyahu agreed to reserve the 28th spot on the Likud’s party list to a member of HaBayit HaYehudi. The second important implication of the split on the Right is that it allowed Mr. Bennett and Ms. Shaked to target more moderate voters. This is an important development given that Mr. Netanyahu’s main adversary, Benny Ganz, is attempting to target right-wing voters who are fed up with the Prime Minister’s corruption. The New Right attempts to project itself as a party much closer to the Israeli mainstream to compete with Mr. Ganz for this important constituency. Rather than campaigning on Mr. Bennett’s hard-line stances on security and Palestinian autonomy, the New Right prefers posting humorous videos which abstract from Bennett and Shaked’s time as part of a religious fringe party. Additionally despite himself pushing for the union between Otzma Yehudit and HaBayit HaYehudi, less than a month ago, Mr. Bennett tweeted that Otzma Yehudit members are “not fit to be in the Knesset”. The union clearly has had an important implications for Mr. Netanyahu. 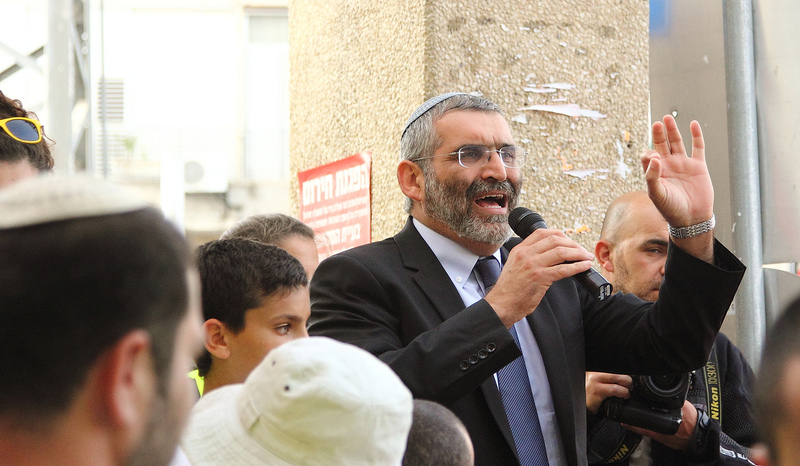 Both HaBayit HaYehudi and the New Right are currently polling above the threshold to enter the Knesset, and support for the Prime Minister appears to have been little changed by the move. Yet given the Prime Minister’s insistence that he will not form a government with Mr. Ganz, it is likely that another Netanyahu premiership may see Mr. Ben-Ari or Mr. Ben Gvir receiving a ministerial portfolio. The Israeli public should not be surprised if it chooses to get in bed with Bibi, and wakes up next to Kahane. Inbar Amit is a U2 student currently pursuing a degree in Economics and Political Science. Originally from Israel, he has an interest in Middle Eastern politics and the Israeli-Palestinian Conflict. When he's not writing for MIR, you could usually find him streaming soccer at Redpath or chugging coffee.